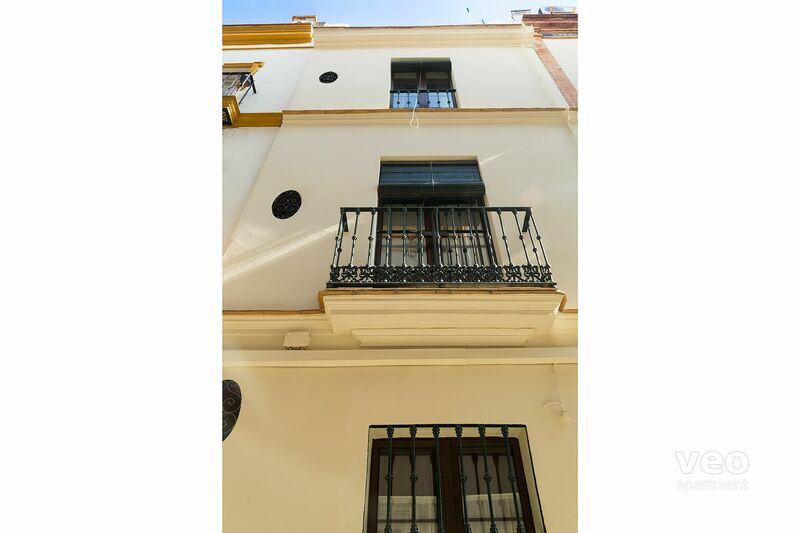 Historical house with 2 bedrooms, 2 bathrooms and a small terrace. 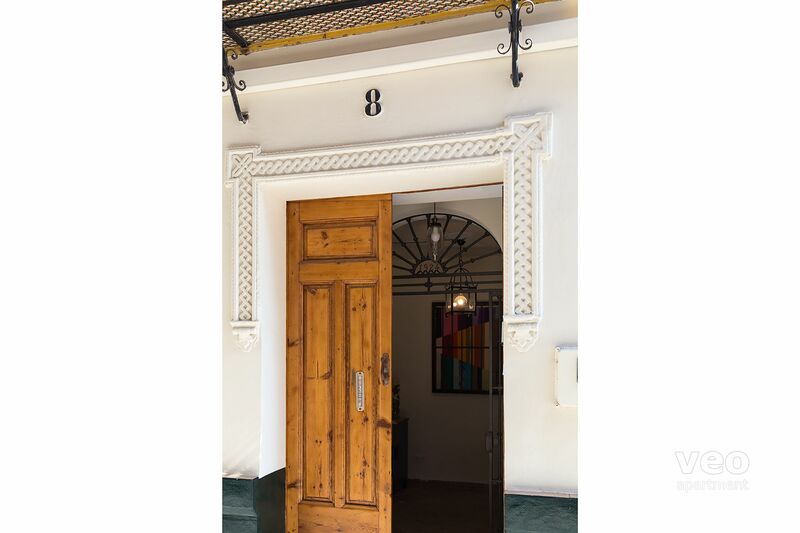 It is centrally located on Calle Lepanto, near Plaza de la Encarnación, and just 10 minutes walk from the Cathedral. Suitable for 4+2 guests. There are many traditional architectural features, such as vaulted ceilings, beams, wrought ironwork and ceramic tile floor. The house has been refurbished to maintain its traditional character, while still remaining a comfortable family home. It is arranged over four levels. On the ground floor there is a double bedroom with its own en-suite bathroom. 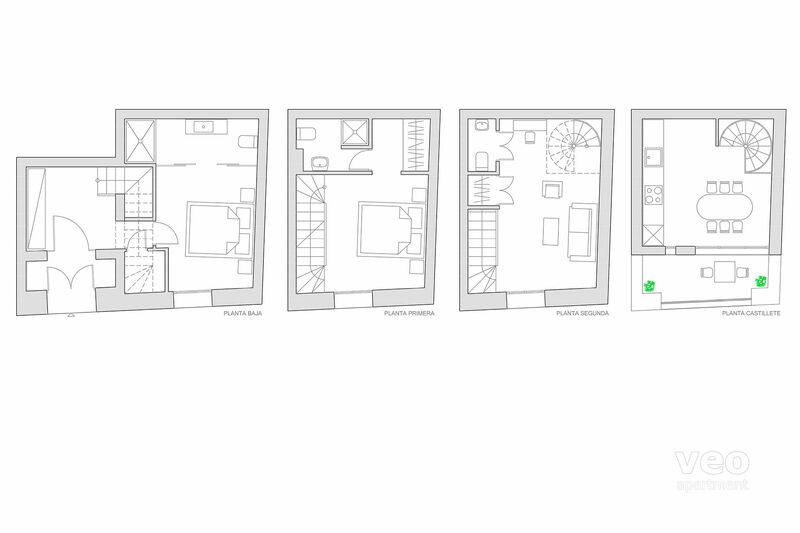 On the first floor is the second double bedroom, also with an en-suite bathroom. One floor up you will find the living area. It is furnished with a sofa-bed, armchair, coffee table and a desk. TV and free WIFI internet connection. Each room of the house is provided with heating and air-conditioning. Apart from the 2 full bathrooms, there is an additional toilet on the second floor. Spiral stairs lead up to the third floor, where we find the kitchen, dining area and terrace. The kitchen is equipped with all main utensils and modern appliances, including: washing-machine, stove, microwave-oven and fridge. Sliding doors open out onto the terrace with views over the roof-tops of the neighbourhood. It is equipped with a canopy to give shade and furnished with a small table with 2 chairs. The Lepanto town house can be a fun place for families with children. Only take into consideration its stairs, and judge yourself if it is convenient for your family by looking at the photos. Obviously, we do not recommend for babies and people with reduced mobility. Private garage space at only 80 metres from the house. You will receive a remote control for the door on your arrival. Suitable for small-sized cars. Measures: length 4.30m, width 1.90m, height 1.70m. The access is by a steep ramp which requires some driving experience and maneuvering skills. If your car exceeds the parking space, you can use the public parking Plaza de la Concordia, located 450 metres from the house. Paid parking. Not suitable for people with reduced mobility, babies and young children. Free! Private parking garage at 100m from the house. Suitable for small-sized vehicles. Measures: length 4.30m, width 1.90m, height 1.70m. If your car exceeds the parking space, you can use the public parking Plaza de la Concordia, located 450 metres from the house. Paid parking. "Perfect apartment , perfect location." 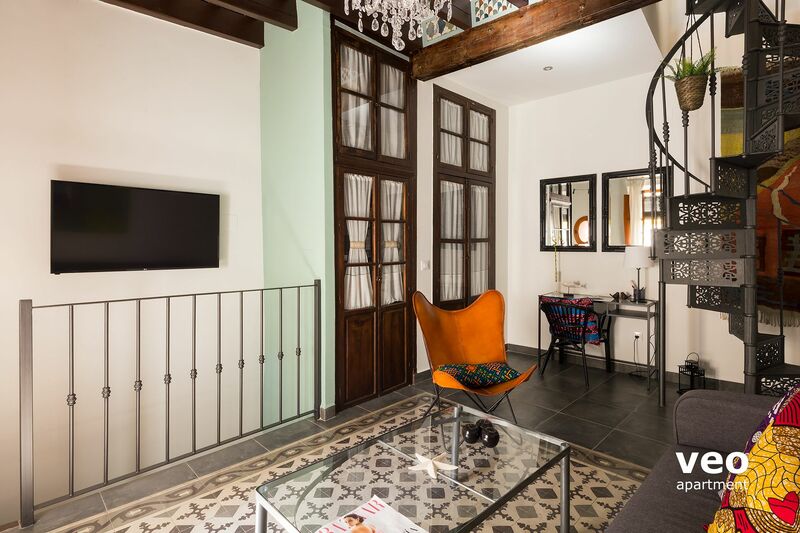 We had a great short-stay in this lovely apartment in the centre of Seville. With 4 adults. Friendly welcome by the Veoapartment staff. 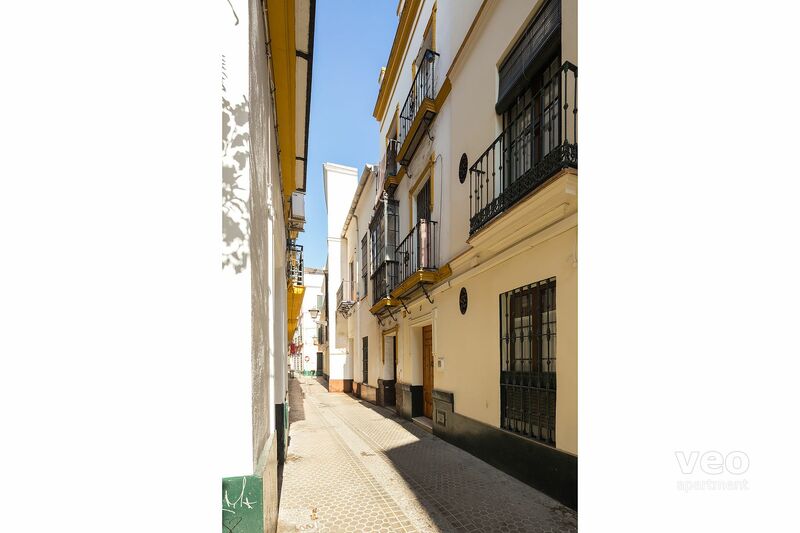 The house is clean, well equipped and the right location in the city centre. Near to all sights you should visit.